Garmin International Inc., a unit of Garmin Ltd. (NASDAQ: GRMN), the global leader in satellite navigation, today announced expanded capabilities and new features for the GTN series. With the latest software, operators have access to optional Class A TAWS, ADS-B out compatibility with select third-party transponders, and scheduled message alerting. Class A TAWS offers pilots an increased level of situational awareness by providing alerts such as excessive closure rate, large glideslope deviations, and the potential for terrain impact when the aircraft is not in landing configuration. This update helps owners and operators around the world meet their respective operating requirements. Furthermore, this update is timely for operators who need to meet the July 2014 TAWS mandate in Canada. To help owners and operators meet ADS-B requirements around the world, this update incorporates an open industry protocol to send information from the GTN to a compatible transponder. This simple software update can help bridge the gap to compliance for many operators who have already invested in a GTN and a compatible transponder. And for others, choosing to install a GTN for compliance can bring a wealth of additional benefits to their flying experience while utilizing the transponder already installed. Garmin’s aviation business segment is a leading provider of solutions to OEM, aftermarket, military and government customers. Garmin’s portfolio includes navigation, communication, flight control, hazard avoidance, surveillance, and other products and services that are known for innovation, reliability, and value. 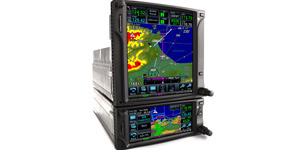 For more information about Garmin’s full line of avionics, go to www.garmin.com/aviation, www.garmin.blogs.com andhttp://twitter.com/garmin. Garmin International Inc. is a subsidiary of Garmin Ltd. (Nasdaq: GRMN), the global leader in satellite navigation. Since 1989, this group of companies has designed, manufactured, marketed and sold navigation, communication and information devices and applications – most of which are enabled by GPS technology. Garmin’s products serve automotive, mobile, wireless, outdoor recreation, marine, aviation, and OEM applications. Garmin Ltd. is incorporated in Switzerland, and its principal subsidiaries are located in the United States, Taiwan and the United Kingdom. For more information, visit Garmin’s virtual pressroom at www.garmin.com/pressroom or contact the Media Relations department at 913-397-8200. GTN is a trademark and Garmin is a registered trademark of Garmin Ltd. or its subsidiaries.